So, you’re working on selecting menu items for your wedding reception. You’ve already decided on passed hors d’oeuvres—crab cakes, stuffed button mushrooms, and fried mac and cheese balls just for a fun twist—and you’re thinking of serving a light garden salad and lobster bisque combo as an appetizer. But how do you deliver the main course to your guests? When it comes to the question of a seated dinner, a buffet, or a serving station is the best option for the main course, let’s just put it this way: you have yet to determine which food service option to say “I do” to at your wedding reception. The size of your guest list, formality of your wedding, selected venue and catering company, and the time of day your wedding and reception will take place are all things to consider when choosing a food service style. Let’s start at what is traditionally known as the most informal end of the spectrum: the buffet. Many couples who opt for a buffet lean toward this option due to their desire to see movement in the room throughout the evening, rather than a stagnant seated dinner that unfolds at a slower pace. If cost is a factor, buffets can also prove to be a more economical option as they do not require every guest to be seated at the same time. For those who prefer more formal dining experience, or who plan to host 200 or fewer guests, seated dinners are an appropriate selection. Most frequently selected for black and white tie receptions, seated dinners are a full-service dining experience marked by pauses between courses. Generally speaking, seated dinners are more expensive because they require a chair for every single guest, along with chargers, stemware, flatware, individual menus, table numbers, additional centerpieces, a server for the table, plus a server for beverages. Stations are another option, and fall right in the middle of the food service spectrum on a scale ranging from informal to formal. Ideal for weddings with a large guest count, food stations are also an excellent option for those who wish to accommodate a variety of menu needs or preferences. For example, an Indian family following a vegetarian diet can showcase the bride or groom’s heritage by serving traditional dishes while also offering more universal fare at other stations. Alternately, a couple hailing from New York and Texas can treat guests to his-and-hers stations bearing Manhattan clam chowder and cheesecake to represent his Brooklyn background, and barbecue and pecan pie as a nod to her Houston roots. For both buffet dinners and food stations, signage helps to reinforce the theme and further acquaint guests with the couple’s background. You can accomplish this via large chalkboard menus at the head of each station or by putting individual menus on each place setting. The newest trend is doing a hybrid of food stations and seated dinners—ideal for the couple who wants the formality of assigned guest seating without limiting mobility throughout the evening. Just like at a traditional seated reception, each guest is directed to his or her assigned dinner seat via a place card. Following a welcome toast or prayer, wines are poured at the table and the first course is served by attendants. Afterward, guests are then dismissed to various food stations at their own pace. Another mix-and-match option is the family-style seated dinner, in which entrees are plated and guests help themselves to sides served on large platters. Although everyone has a seat at the table like at a traditional seated dinner, this casual style of dinner service is the furthest thing from stuffy—perfect for a ranch wedding or more casual reception environment. Now that you have an understanding of the various food service options, all that’s left to do is finish up those menu selections. Enjoy your tasting appointments—and bon appetit! Are you looking for a Dallas or destination event planner? We would be honored to speak with you about your “I do”—drop a note to our team right here. When it’s your wedding day, it can be easy to want it all—and who can blame you? You’ve likely waited for this very moment your entire life. But once you venture into the exciting (and chaotic) world of wedding planning, you’ll see how quickly expenses add up. All of the sudden, your dazzling hopes and expectations might seem out of reach. But what if you could make all of your luxurious wedding dreams come true without going into debt? Well, it’s possible! Read on to learn how. Before you start fantasizing about planning a wedding like the $40 million dollar affair portrayed in Crazy Rich Asians, it’s important to understand where your wedding budget is coming from. For the most part, it comes down to three different sources: how much you and your significant other can set aside each month until the wedding, how much you both have in your individual savings accounts, and any contributions from family members or loved ones. Okay, you have a basic understanding of where your wedding planning money is coming from. Now what? First, determine you and your future spouse’s combined current savings, as well as any potential outside contributions from family members. Add both together to get the first two components of your budget. For the third component—how much you’ll set aside each month—consider allocating 10 percent of your earnings every month to a new wedding fund. Erin Lowry, a personal finance expert, elaborates, “Establish direct deposits into a separate account for wedding expenses so it isn’t just leftovers that get saved.” The easiest way to do this: put your savings on autopilot via an app that’s great for upping your savings in a pinch. This way, you’ll grow your wedding budget without needing to fuss with your bank account all the time. Hooray, your budget has been established! No more dealing with numbers, right? Not so fast. You’ll have to continue adding and subtracting numbers throughout the wedding planning process to ensure that you’re staying on target. But don’t worry, it’s not as difficult as it sounds—especially if you say “I do” to working with your wedding planner to create a luxury look for less. Take flowers for example. You could shell out hundreds (or even thousands) to secure out-of-season peonies for your table arrangements, or you could save that much by sticking to flowers that are in season. Save even more by using candles in place of floral elements when designing your tablescapes! A little research into venue costs goes a long way. Barn and loft spaces might be trending as budget-friendly alternatives to typical wedding venues, but it’s entirely possible that you’ll end up spending just as much money retrofitting a space as you would on booking a more traditional venue. Keep in mind that if you decide to book or build an atypical event space, you’ll need to bring in chairs, tables, cutlery, catering equipment, restrooms, air conditioning/heat…the works. On the other hand, some traditional wedding venues can run as high as $20,000+. So, what’s the best way to go about booking a venue? Before you commit to anything, work with your wedding planner to compare the estimated total price of a wedding that requires a custom build against the price of a venue that includes in-house rentals and facilities. Doing so just might save you thousands! You’ve spent months and months (or maybe years and years) planning your wedding. But you aren’t a traditionalist. Oh, no. You don’t want an elaborate ceremony attended by your entire community. You want to travel, to see the world. So why wait until the honeymoon to pack your bags when you can have a destination wedding? We hear you. Warm, tropical beaches where the sun and sand kiss your skin and blue ocean waves lap gently at your feet…what’s not to like about that? You’ve got everything planned: the breezy dresses, the light suits, the plane tickets and hotel reservations. Everything except gifts for your bridesmaids and groomsmen. 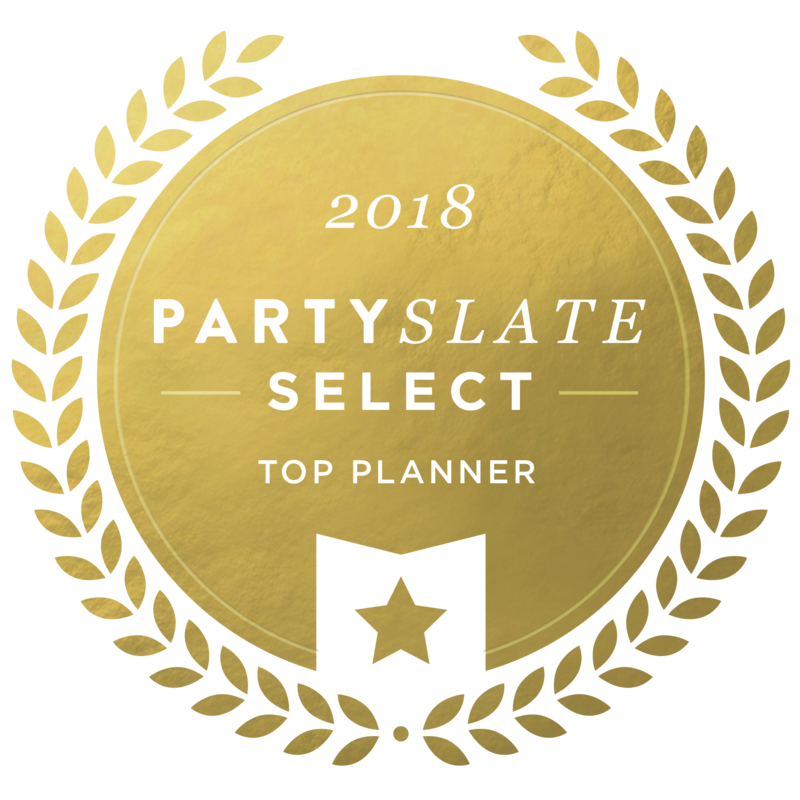 Most likely, your wedding party has been with you through thick and thin—maybe even helped you make decisions throughout the wedding planning process. Why not treat them with a gift that puts the “fun” in “functional” at your fabulous destination wedding? If you’re looking for something fashionable that’s also versatile (a.k.a., can be used after the wedding), consider Warby Parker sunglasses! Warby Parker carries a variety of chic styles ranging from modern, to aviators, to those super-cute, Audrey-Hepburn-style shades. Their prices range from $95-$195, and each pair of sunglasses comes in a signature case with its own microfiber lens cloth. The best news of all: Warby Parker is now offering bulk-orders. If you’re really feeling generous and thinking about treating your ENTIRE guest list to a fun souvenir, you’ll be happy to know that for orders of 50 or more pairs of sunglasses, a free custom lens cloth is included with each frame. There’s nothing more “fun”-ctional than a colorful, adorable, customizable tote! With these options from Spartina 449 (a brand we discovered during the Wed at the Westin FAM trip we coordinated), you can even buy a matching towel! If you’re looking for something a little more subdued, these durable canvas totes from Lands’ End are perfect. They’re customizable (hello, monograms) and they come in a variety of sizes. Half the fun of sailing or lounging on the beach is having a drink in hand! With a to-go drink, you can take the festivities anywhere. These customizable YETI Ramblers are perfect for the guys and girls in your wedding party. Pick your style, color, and design. The azure skies of Cabo are pretty much the limit! Maybe your destination wedding isn’t at the beach, though. Maybe you’re getting married at a dreamy Tuscan villa or majestic Scottish castle. If that’s the case, one of the most practical bridesmaid and groomsmen gifts to consider might be a custom luggage tag. Neiman Marcus has a variety of styles, colors, and materials to choose from here. You can personalize the luggage tags with the names—and even addresses—of your wedding party. When it comes to destination weddings, there’s no gift with more potential than clothing. One item that many women forget to pack? A swimsuit coverup. Be the heroine for your bridesmaids with these options from Tommy Bahama. Speaking of Tommy Bahama, they also have a great selection of men’s swim trunks, ranging from more conservative colors and patterns to bold and bright statement makers. If those options are a bit too spendy, consider gifting guys and gals a waterproof bag for holding wet swimsuits on the plane ride home. We love this option from The Container Store! And for the glamorous maid of honor who loves to accessorize, why not a Panama hat or boater hat from Revolve? There are so many wonderful ways to make your wedding party feel the love at your destination wedding. Happy gifting! Read our suggestions for bespoke gifts for grooms + groomsmen here. Start rounding up bridesmaid proposal ideas here. Discover welcome gift ideas for Destination, Metropolitan, and Traditional weddings here. The death of landlines and the omnipresence of iPhones. The rise, fall, and reinvention of the boy band. The exchange of Blockbuster rentals for Netflix binge-watching. The nearly universal adoption of athleisure. From technological advancements to fashion trends, the last 20 years have produced seismic-level shifts in every sphere, and the world of wedding and event planning is no exception (event hashtags, anyone?). In celebration of DFW Events’ twentieth year in business, let’s take a look back at some of the trends and transformations that helped shape the landscape of event planning into the industry it is today…no #throwbackthursday required! MF’s first ever Dallas wedding guide (circa 1996)! At the time, Arlington Hall could be rented for $85 from 6 p.m. to midnight. Click the button below to join The List, a community of engaged couples, aspiring event planners, and DFW Events clients + vendors!